Turn the data you already have into the new revenue you need. Engineers, sourcing professionals, and purchasing managers are demanding richer product data like CAD models, drawings, and spec sheets. You'll learn how a dynamic eCatalog improves your customers’ ability to search and find your products on your website and your distributors’ sites. 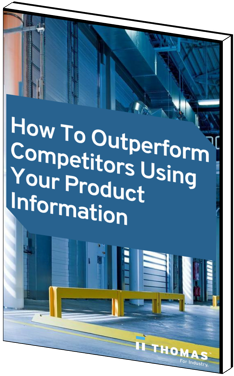 Our eBook, How to Outperform Competitors Using your Product Information, explains how to use a centralized information system to deliver this rich data — ultimately meeting the needs of your customers so you can create more revenue opportunities. Simply fill out the form to the right to access your copy of the eBook today.